Late last month, the 2013 edition of the World’s 50 Best restaurants was announced to great fanfare, with a new No. 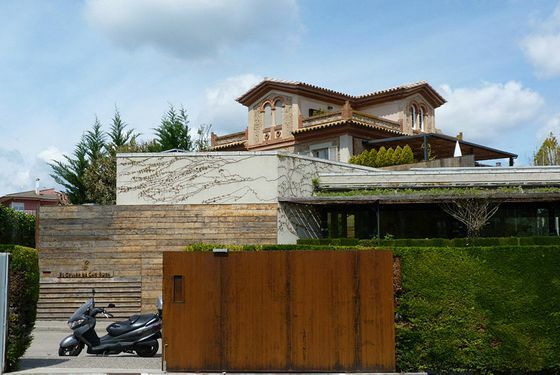 1: El Celler de Can Roca. In just a few years, the list — put together by Restaurant magazine in the U.K. — has superseded the Michelin guidebooks as the list that’s most important to world-class chefs. It also introduces an extra element to the often-grueling job of a world-class chef: Because the World’s 50 Best list ranks restaurants — as opposed to simply assigning stars, like Michelin — the new generation of elite chefs and owners are forced to continually reinvent and promote their businesses in order to stay fresh in judges’ minds. Let’s get the obvious stuff out of the way first: We live in a world of rankings, and editors know that lists are a surefire way to draw readers and attention. But once you begin talking about a certain, select group of restaurants, there’s no real way to gauge which one is better than any other one. Per Se is not objectively better than the French Laundry. L’Arpège isn’t necessarily better than Le Bernardin. Alinea and Fäviken Magasinet might be as different in concept as two restaurants can be, both executing their own specific visions as well as humanly possible — how do you begin to compare places like that? Michelin bills itself as a guide that ranks food and only food, so once a restaurant got three stars, the focus became maintaining those stars — a difficult task in and of itself. Salaried inspectors returned each year — in theory, anyway — to keep track. The group’s criteria and judging methods were so opaque that chefs couldn’t do much to game the system beyond keeping their food as consistent as possible. But with the advent of the World’s 50 Best, consistency doesn’t help a place stand out against the other top-tier restaurants. (And, since the list covers the entire world, instead of specific regions like the Michelin guides, the playing field is much bigger.) In fact, doing the same thing year after year will only hurt a restaurant’s chances of placing highly. Since its inception in 2002, the pomp and circumstance surrounding the 50 Best annual announcement has grown louder and ever more moneyed. (The list itself, of course, is sponsored by San Pellegrino, which is owned by Nestlé — a gigantic food company that doesn’t exactly champion the careful, handcrafted aesthetic associated with any of the nominated restaurants, even if they do supply their coffee.) 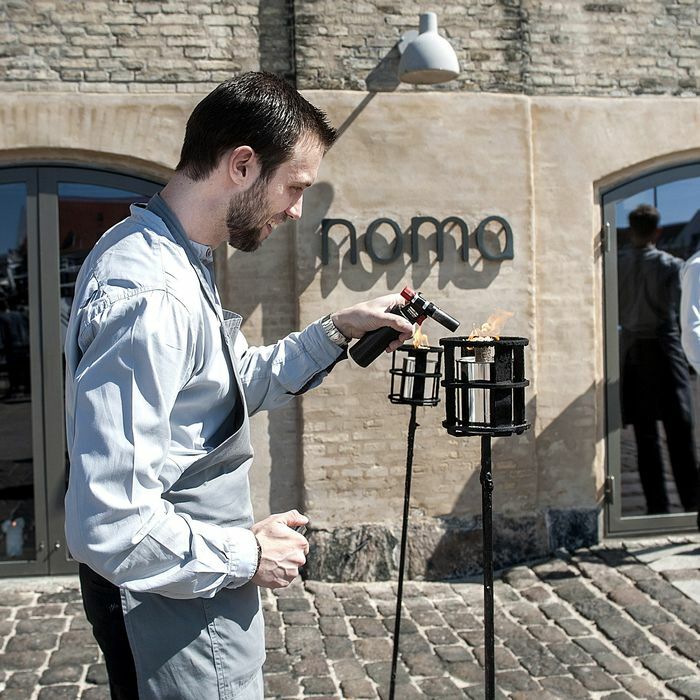 It’s taken a lot of careful PR and promotion to make the World’s 50 Best list as influential as it is, but it worked: Anytime anyone casually called Noma or El Bulli the world’s best restaurant, they were referring to this. But here’s where the ranking can be skewed: Restaurant instructs its 900-plus voters — made up of non-anonymous chefs, critics, and “highly regarded ‘foodies’” (their words) — to vote only for restaurants they’ve visited in the past eighteen months. Even though the voting is broken up by region, it’s impossible that a voter would be able to hit all of the necessary spots in a year and a half, given that they’re located all over the globe. (Three of each voters’ seven votes must be from outside their home regions.) So voters have to choose which spots to hit. So it makes sense that they’ll hit restaurants in culinary hubs, major cities, and areas that host international culinary conferences — places they’d be anyway. Achatz brings up the Mistura gastronomic conference in Lima, Peru, as an example. “It brings worldwide chefs in, who are all voters,” he says. “So now this year all of these Lima restaurants pop up on the 50 Best — that’s not a coincidence.” (Astrid Y Gastón is ranked No. 14 — it was 35 in 2012 — and Central is 50; Malabar ranks 76th on the secondary list of the top 100 restaurants.) “It’s because Andoni and myself and Arzak and Thomas Keller and Daniel Boulud are traveling to Lima.” So, these chefs go to great restaurants in Lima and all end up voting for them because they’ve been there. The same holds true for the current Nordic grip on the list: “It’s the hot place in the world, so everyone who wants to make a gastronomic pilgrimage goes there,” Achatz says. They’re all fantastic restaurants, but the disproportionate number of voters going to these parts of the world tips the scales in their favor when the votes are tallied. Of course, a restaurant can’t change its location, so chefs and owners are also forced to give voters a reason to return year after year. No wonder El Bulli, which closed and completely overhauled its entire menu each year, dominated the list for so long. Because the menu was always different (and because Ferran Adrià is a master of theatrical promotion), judges always had a reason to go check it out. Just look at Eleven Madison Park, a restaurant that has over the past few years steadily risen the ranks of the World’s 50 Best list (it’s currently ranked No. 5). As recently as four years ago, it was just an expertly run restaurant, specializing in luxe ingredients, disarmingly warm service, and lovely meals. It got as many stars as it could from every venue that gave them out, but as a New Yorker story last September made clear, to get a high ranking on the World’s 50 Best list, the restaurant had to do something different, so they moved from a standard menu to a “grid” menu in 2010 that was designed to offer diners a greater sense of control over their meals. It ranked 50th on the 2010 list, 24th on the 2011 list, and 10th when the 2012 list was announced in April of that year. In July 2012, the restaurant announced they’d be switching formats yet again, this time to a single tasting menu focused on New York terroir. (Some theatrical service elements that accompanied the meal — long explanations of dish inspiration, for example — got a negative reaction and have been more or less excised.) Did any of these changes make the restaurant “better”? Having eaten there a number of times over the years, this author would say that it’s not really any better or worse — it was and still is operating at the highest possible level a restaurant can. But it doesn’t matter if the changes made the restaurant better: Every time the restaurant switched up its format, it got plenty of accompanying media coverage that let judges know they needed to return to see what was going on. So, having great food and service are just part of getting on the list — a restaurant must be the best-promoted, which means not just changing a restaurant’s menu, but also creating events that give people something to write about: Noma’s René Redzepi takes journalists foraging every chance he has and opened the Nordic Food Lab to constantly come up with new food. Alinea and Eleven Madison Park, meanwhile, spent a couple of weeks last year flip-flopping and taking over each other’s dining rooms. Le Bernardin overhauled their entire dining room and bar a year and a half ago. Pujol chef Enrique Olvera cooked a dinner at Empellón Cocina last October, and Le Chateaubriand’s Iñaki Aizpitarte does pop-up dinners on a regular basis. Even Thomas Keller did a French Laundry pop-up at Harrods last year. But how important is newness among these restaurants, really? For journalists and other people who cover these spots, it’s very important (“Great restaurant is still great” isn’t exactly a compelling thesis.) But for most “regular” customers — the very small number of people who can actually get a reservation at one of these spots, travel to the far-flung corner of the Earth where the restaurant is located, and drop $1,000 or so on a meal for two — it’s hard to believe they’d go back to a spot more than once, possibly twice. There’s a snowball effect, too: Once a restaurant hits this level of global renown, more of what you might call the world’s dining elite — a roving group of chefs and gastro-tourists (and 50 Best voters) — fill the dining room’s limited number of seats, and when the place is great, they tell more people, so even more members of that roving critical group stop by and praise it as well. Eventually that restaurant gets its high ranking and the gastro-rovers head off in search of somewhere new to eat. At a lunch several weeks ago at Osteria Francescana in Modena, Italy (ranked third on this year’s World’s 50 Best list), the small number of tables weren’t filled with regulars enjoying their meals: There was a lone woman photo-documenting every course, a British couple rushing their server because they evidently had to go somewhere else (“You mustn’t let me drink too much — I have to drive and we’re on a tight schedule,” the gentleman helpfully instructed his waiter), and two Japanese men that looked like work colleagues and said maybe four words to each other during their entire three-hour meal. Do these people care if the dish they’re having is new or if the concept of the restaurant has changed dramatically in the last year? They probably don’t: Nobody at that Francescana lunch really seemed to be enjoying their meals all that much. The British couple and Japanese duo both instructed their servers mid-meal to hurry up so they could just get out of there. They weren’t there to eat, or even to bask in the luxury of a $600 lunch — they were there to check this restaurant off their own list before moving on to the next spot. *This post has been edited to show that Louiseau’s restaurant remained a three-star establishment after his death.